On bright green bicycles or retrofitted vans, public librarians are rolling out more mobile outreach service models, removing access barriers and providing specialized services for kids. When children benefit from the services that mobile vehicles bring to them, they also become “more aware of the offerings in the buildings and are more likely to visit the library,” says Plazek, noting that patrons can range from young kids in group-care facilities to school-age children in after-school programs, working families on corporate campuses, and residents in rural areas. The San Francisco Public Library (SFPL) has deployed bookmobiles for outreach since 1944, and a dedicated children’s bookmobile made its debut in 1995, funded by the San Francisco Department of Children, Youth, and their Families, according to Suzanne Beattie, mobile outreach service manager. The goal was “to provide services and literacy support to kids in group care where there were practical and societal challenges to visiting a local public library,” she says, with an emphasis on centers receiving subsidies and serving lower-income families. In 2011, the service evolved into the Early Literacy Mobile, focusing on service to newborns to five-year-olds, along with their parents or caregivers. The large vehicle, which requires a B-class driver’s license to operate, visits more than 35 childcare facilities each month, as well as the San Francisco Zoo and community organizations such as the Homeless Prenatal program. In partnership with San Francisco Recreation and Parks, it also offers literacy enrichment at four city parks. A typical day aboard the Early Literacy Mobile starts with courtesy phone calls reminding facilities about upcoming site visits. When the vehicle arrives at a destination, the children’s librarian leads a storytime there, while the driver/library technician stays onboard to help facility staff and students with checkout. 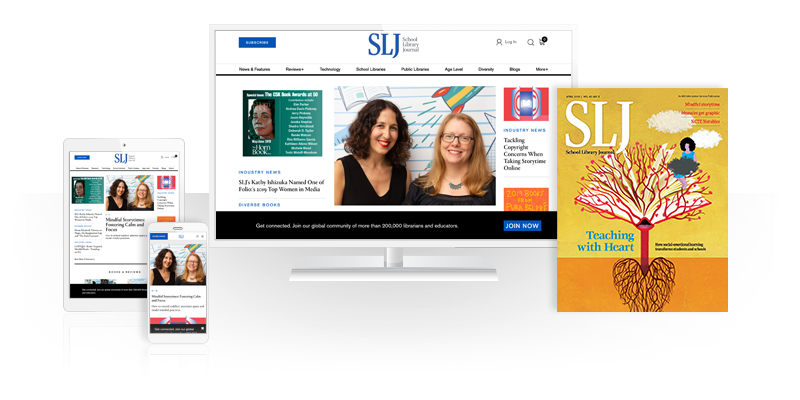 The librarian returns after programming to offer readers’ advisory and reference services. To keep a mobile outreach program sustainable, Beattie advises libraries to be aware of maintenance and upkeep scheduling, in addition to having broad administrative buy-in and support. It also pays to know potential routes and plan for accessible parking (a feat on the streets of San Francisco). “Do the research on what type of vehicle to purchase, and make sure it matches your specific geographic and demographic needs,” she says. 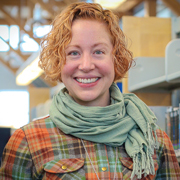 Covering very different terrain, the King County (WA) Library System (KCLS) serves 18 school districts in a “massive county” of nearly two million people over 2,300 square miles, according to outreach services coordinator Christine Anderson. 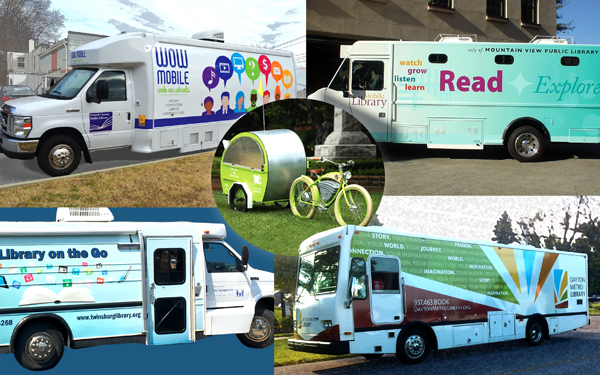 The system’s fleet of vehicles allows the library to reach a variety of suburban, urban, and rural areas, with diverse communities and geographies. “We want to reach as many people as we can in as many ways as we can,” Anderson says. To do that, KCLS has two mobile outreach programs that deliver materials and programming to area children. Library2Go launched in 2010, with five Dodge Sprinter vans visiting 144 childcare and 43 community sites each month. The vans serve locations that a larger bookmobile might have trouble accessing, Anderson notes. ABC Express hit the road in 2006, with two full-size buses that visit 80 larger childcare facilities each month. The youth and early-literacy vehicles use a central collection that is separate from the rest of the library’s circulating materials to avoid pulling titles from KCLS branches. However, “we really try hard to make [the selection] reflect the same quality as our branch collections,” says Anderson. Library paraprofessionals offer circulation services on the vehicles, while local library staff provide storytime and information on library resources. The vehicles, which cost $200,685 each, including antennas to improve Internet connectivity, were financed through the library’s capital bond funding, while their collections, over $75,000 worth of materials, were supported by the KCLS Foundation and Friends of the Library groups. An early literacy bookmobile is also a key component of Dayton Metro (OH) Library’s outreach. The library’s 34-foot bus has been running since 2005, says outreach manager Kim Bautz. 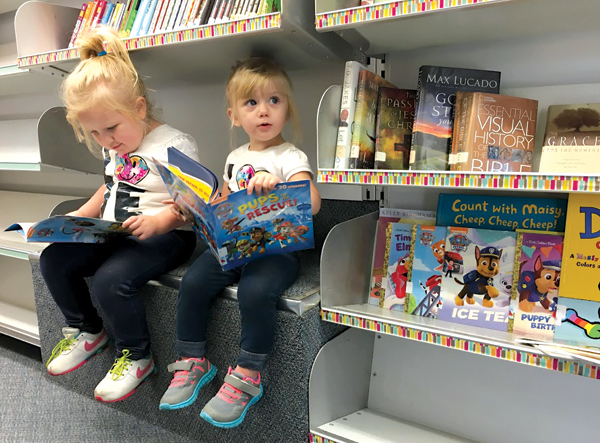 The $250,000 bookmobile was funded by multiple sources, including a Library Services and Technology Act (LSTA) grant and the Kettering Fund, a private philanthropy. “We see about 10 preschools every week, with anywhere from four storytimes in a day to 15 or 16,” delivered by a dedicated outreach librarian with support from two library assistants, Bautz says. “We are trying to go to places where kids aren’t familiar with the library—to show that reading can take you places and to model how reading can help.” She adds, “We also like to add a loving adult to their lives.” In 2016, the bookmobile circulated more than 40,000 items. The KCLS Mobile Learning Labs are a fleet of three “little box trucks”—2012 GMC Savana Trucks—with seven computer stations for patrons and one instructor station, according to Anderson. The trucks, $210,121 each, were underwritten by bonds and capital projects funds. The library IT department paid to improve the antennas’ Internet connectivity. Librarians across the system can reserve the vehicles for one-off programs or for a series, and the Labs are used primarily for youth events during the summer. The library’s IdeaX programs, a collection of tech-themed kits, are utilized in the trucks, introducing age-appropriate projects that guide children and teens through experiences in circuit-building, robotics, digital media, and other STEM topics. The Forsyth County (NC) Library has a brand-new WOW Mobile (an acronym for “Web on Wheels”) to supplement the library’s circulating outreach services. The new vehicle replaced the former Smart Start bookmobile, which faithfully visited daycare and homecare centers for 15 years, according to Yolanda Bolden, manager of outreach services. Library staff circulates “specially prepared storytime kits” in addition to providing programming at early literacy-themed destinations, including day and homecare centers in the county. The WOW Mobile also offers space and equipment for computer-based learning for youth and older populations, such as instruction on digital devices and providing access to job and resume services for teens and adults. Bolden worked with a cross-departmental committee to secure an LSTA grant for the purchase of the WOW Mobile. A community survey, hosted on the library’s website and distributed at Smart Start stops, culled information about the area’s needs and how the population might respond to a mobile- outreach model that offered additional services. “Our leading motivation was to bridge the access gap,” she says, and the bookmobile is “trying a little bit of everything.” That includes adding tech programs to address the digital divide among area families and finding new locations for storytimes and material circulation in order to firmly establish an evolved service model. For librarians looking to create new mobile services or to expand existing ones, Bolden recommends the community-based approach. Identifying customer bases and community partnerships “has been extremely helpful in [developing] our programming efforts and extending our services,” she says. When Karin Bricker took the position of library manager for youth and outreach services at the Mountain View (CA) Public Library, she saw that her library’s neighborhood-based bookmobile service was losing steam. With more families with two working parents in the community, many employed by the booming tech sector in the region, there were fewer and fewer parents who brought children out to bookmobile stops. Hewlett-Packard, formerly located in the area, approached Bricker to come talk to its workers about library services—and then inquired about bringing the bookmobile to its corporate campus. A new service plan was born. Now, the bookmobile visits the three Google and one Microsoft campus in town, “getting that captive audience,” says Bricker. She employs a library assistant who “loves to sing and read stories,” and offers storytime programming at the campus childcare centers. The bookmobile also visits schools that are more than a mile away from the library, providing material circulation to those who may not find it easy to visit the library. This close relationship has resulted in schools turning to the library for “solutions to a problem,” says Bricker. For example, the bookmobile provided service to a middle school whose library was closed during renovation, ensuring students still had regular library access. While some libraries have been in the mobile-outreach game for decades, others have needed to wait for the right time to get the support and buy-in needed to purchase a vehicle and set up a service plan. For Katie Johnson, outreach librarian with the Twinsburg (OH) Public Library, adding bookmobile service was a passion project for her library manager to reach out into their rural community, but required playing the waiting game until the right vehicle at the right price came along. The library bought a used bookmobile at auction for $8,000 last spring, paid for by the library foundation, and began taking it out at the end of the summer. Staff visited childcare centers and apartment complexes, and also offered pop-up-style programs around town to raise awareness about the new service. With weather limiting bookmobile runs during winter, Johnson, a 2017 Library Journal Mover & Shaker, is planning more pop-up events for spring and summer. She will look to park in popular areas, such as food-truck courts and community festival locations, and will use the bookmobile to further the reach of the library’s summer reading program. The Los Gatos (CA) Public Library chose a different tactic when adding a mobile outreach. In spring 2016, the library partnered with Vintage Electric Bikes of Santa Clara, founded by a Los Gatos High School graduate, to design a book bike that can pull a small trailer with 200 to 300 pounds of outreach material (the trailer was created by library design firm Burgeon Group; burgeongroup.com). Since July 1, the book bike, affectionately christened the Chartreuse Caboose thanks to a community naming competition, has served more than 1,400 customers, says Jennifer Laredo, library division manager and teen librarian.